Originally published on February 12, 2013. 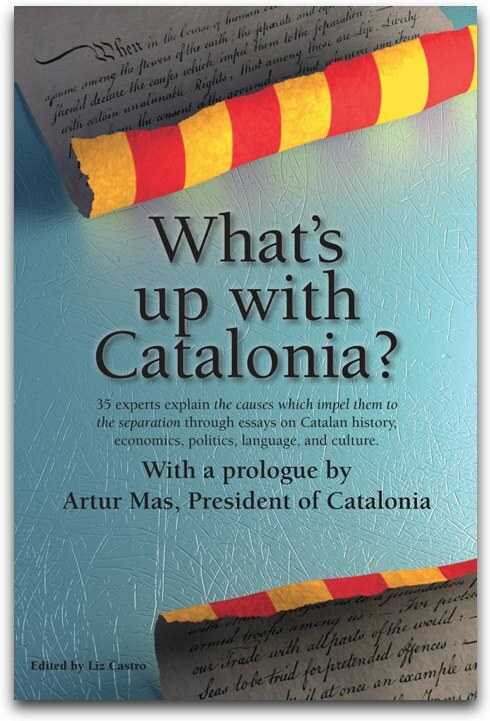 Will Catalonia be out of the European Union if it becomes independent? It's all speculation, and impossible to call, as we've seen in the last few months, keeping in mind that everything will be negotiable, and negotiated. But yesterday's report from the British Parliament says things that we'd do well to pay attention to. The report makes it clear that right now no one can seriously affirm either that Scotland will automatically become a Member State, or that it won't. But the report argues that leaving Scotland out would be extraordinarily difficult. And that's where the interesting bit of the story is. Scotland, and Catalonia, are already part of the European Union. And therefore, all of the citizens and businesses that reside there enjoy the privileges and freedoms established by the Union, for example, the free circulation of goods, people, and merchandise—just to name the most obvious. The question that the British Parliament is facing is the following one: could the Union deprive rights from the citizens that are already members? The debate, formulated in this way, is quite interesting. Because we're not just talking about the Scots or the Catalans. We're talking about Europeans. Let's imagine that tonight Catalonia proclaims its independence. At 11:59pm, the Seat factory in Martorell, which belongs to Volkswagen, a German company, functions in a situation in which it can move parts and works and sell vehicles throughout the Union. One minute later, if Catalonia is expelled, it won't be able to do so. Is that conceivable? No, it's not at all conceivable, keeping in mind that for Catalonia to be expelled there would have to be a unanimous vote from the European Council. That is, Germany would have to vote against the interests of its own company. Or Romania would have to vote that all of the Romanian workers would be instantly categorized as foreigners, with all the problems that would entail. The British, a serious people not inclined to foolishness, have begun to realize that it would be a lot more costly than it seems to expel a territory from the Union. First, because all of the states, unanimously, would have to make a decree about the expulsion. Which is not very likely. But, what is more—and this is no small detail—because not even the Council (that is the governments), the Commission, or the Parliament would have the last word. The last word would fall to the Court of Justice of the European Union. It could happen, then, that the European Council decides to expel Scotland and Catalonia, but that the Court of Justice immediately stays the decision. In order to more carefully study if it violates the rights of all European citizens, native or foreign-born, residents of Catalonia or Scotland. And it's important to point out, that the Court has already ruled against Spain: when Spain opposed the right of the people of Gibraltar to vote as British in the European elections.